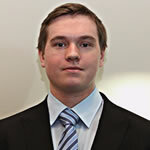 Devon is an Investment Banking Associate at Xnergy Financial. He is responsible for identifying and evaluating opportunities in the Industrials and Energy sectors and has a broad range of relationships with both companies and investors seeking growth opportunities. Prior to joining Xnergy Financial, Devon worked on the US sales desk at Murano Connect LP where he was responsible for researching and sourcing Private Equity funds, Hedge funds, Real Estate funds and Venture Capital funds for the firm’s platform.